1. This contract reflects the verbal agreement. It shall include any terms agreed prior to its issue. It shall be deemed un-accepted unless the reservation fee is received by Euphoria Entertainments within 7 working days of the issuing date. No alterations may be made to this contract by hirer without prior approval consent from Euphoria Entertainments. Please Note: you agree that you are making a confirmed booking and entering into a contract which carries your acceptance, in full, of the booking terms. 2. Reservation fee: you agree to our reservation fee of £50.00 which is payable in advance to secure entertainment. The reservation fee is deducted from the price quoted and is non refundable. 3. Overtime Charge: Any extension to the agreed timescale will be charged in addition to the booking fee @ £125.00 per hour (or part hour), thereafter, which shall be payable in advance before commencement of extended entertainment. 3.1 The Client shall have the right to cancel the booking by serving upon Euphoria Entertainments not less than 28 clear days notice in writing. In the event of the client wishing to cancel this contract agreement for any reason other than Act of God or National Disaster, any advance reservation payment will be forfeited. 4. A cancellation fee of not less than 50% of the agreed fee will be due if the cancellation is within fourteen days of the performance. 4.1 A cancellation fee of not less than 75% of the agreed fee will be due if the cancellation is within seven days of the performance. 4.2 The whole of the agreed fee will be due if cancellation is within 48 hours of the performance. 5. In the unlikely event that Euphoria Entertainments is unable to attend personally due to accident or sudden illness, Euphoria Entertainments shall endeavour to provide a suitable substitute offering a similar service at no additional charge to the client. This does not apply in circumstances detailed below. 5.1 Force Majeure – Euphoria Entertainments will not be liable for failing to attend a booking, where the reason for non-attendance or late arrival is caused by adverse weather conditions (including Snow & Flooding), road closure, road traffic accident, vehicle breakdown, fuel shortages, acts of terrorism, industrial action, or other unavoidable circumstances deemed beyond our control. 6. The client will appreciate that suitable time for venue access, safe installation and dismantling and safe removal of equipment from venue is required in addition to performance time. Therefore, the client and venue will allow suitable time for the installation and dismantling and removal of all equipment (up to 60 minutes each side of the booking times). Where appropriate, the client will also inform the venue, in advance, of artiste(s) requirements. Please note: Euphoria Entertainments shall not be liable for any additional charges levied to the client by the venue in relation to equipment assembly / removal timescales. 7. The client will ensure that safe and adequate power is available for performance. 7.1. The client will inform Euphoria Entertainments prior to performance date confirmation of venue sound limiter installation. Please note: Euphoria Entertainments reserve the right to decline entertainment at venues with sound limiter installed. 7.2 The client agrees to arrange suitable changing facilities as required. 8. The client will ensure that the venue will have verified venue power sources that are electrically safe and conform to the HSE EAW Act 1989, and amendments thereafter. Copies of venue Electrical Installation Safety Certificate (Periodic Inspection Report to NIC EIC standards) must be made available upon request by the venue under LAW. 8.1 Euphoria Entertainments agrees to provide proof of Public Liability Insurance and certifications as required by the venue. 9. Euphoria Entertainments will respond to the hirer’s reasonable request(s) and conduct themselves in a professional manner throughout attendance at the venue. 10. Euphoria Entertainments will respond to the venue management’s reasonable requests as to volume, sitting of equipment and or any other reasonable request(s). 11. Euphoria Entertainments shall be in no way liable for breach of byelaws or conditions under which the venue is leased, hired or entrusted to the venue management. 11.1 The client will notify Euphoria Entertainments of that all appropriate licences as required by law are in force at the time of performance(s). 12. The client agrees to provide adequate supervision of guests and will ensure that venue management adequately supervises customers and our staff on site premises. Please note: Where the function may include guests under the age of 16 years, the client, (or parent) is responsible for the behaviour and safety of any minors attending the venue. The client will provide and maintain adequate adult supervision at all times. [Euphoria Entertainments will not be liable for the supervision of minors. 12.1 Unwarranted Abuse or threatening behaviour from the clients guests or venue management or venue staff will not be tolerated and will result in the performance being terminated with no loss to Euphoria Entertainments. 12.2 The client agrees that compensation for any loss of or damage to Euphoria Entertainments equipment, vehicle(s) or personal belongings caused by clients guests, venue customers and or venue staff will be sought including any additional costs. 13. The client agrees that the confirmed entertainment start and finish times specified are accurate and correct. Any extension beyond the confirmed start & finish times is at the discretion of Euphoria Entertainments and the management of the venue. See 3 for ‘Overtime Charge’. 14. 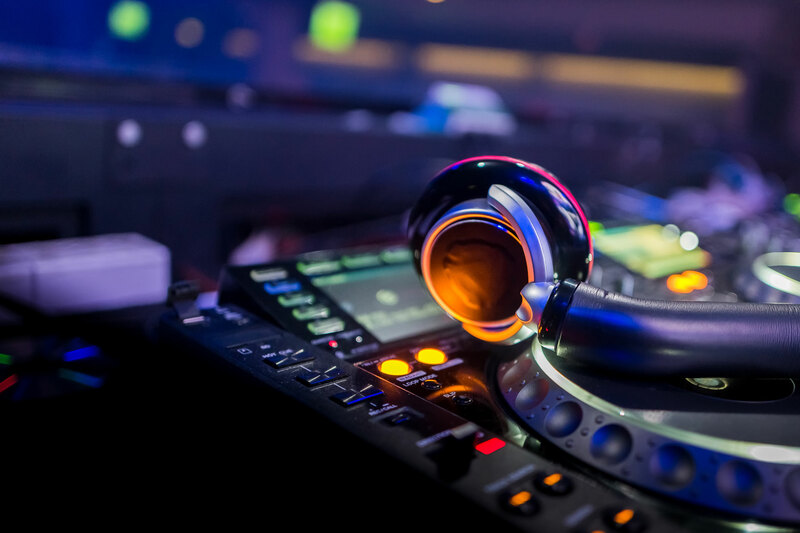 Euphoria Entertainments will accept music lists and requests in advance of functions and will endeavour to play a reasonable number of the clients’ chosen requests, provided such requests are submitted in writing before the event. The client also agrees that Euphoria Entertainments cannot guarantee the inclusion of any difficult to source, obsolete or deleted titles either requested at the event or previously notified. 15. Where the client requests that Euphoria Entertainments set up equipment at an earlier time prior to the actual start of the function, the client acknowledges that a tiered charge may be made for this additional service, and that this service will be subject to availability. 16. Euphoria Entertainments will not be liable for any refund, in part or whole, where ‘we’ are late accessing the venue and setting up purely because of earlier events over-running, or where ‘we’ are prevented from accessing, setting up or providing our professional services by the venue management. Neither will Euphoria Entertainments be obligated to provide an extension to the agreed timescale on a pro-rata basis in these circumstances. 16.1 Where the venue does not have its own parking facilities, Euphoria Entertainments reserves the right to pass on any additional parking fees for refund by the hirer. Please note: that in accordance with Health and Safety laws, Euphoria Entertainments will refuse to work at venues where illegal or hazardous parking is required in order to unload vehicle. This also applies to general health and safety concerns within the venue such as navigating cluttered or unlit stairways and exits. 18. Where the event is being held in a marquee, the client will ensure that the work area is dry and that a minimum of 2 x 13A power sockets are located within 10 Metres of this area. Please note: Bad Weather or impending bad weather on the day will not allow Euphoria Entertainments to commence entertainment out-doors under any circumstances. Euphoria Entertainments accepts no responsibility for damage to electrical equipment if caused as a result of working in inappropriate weather conditions.